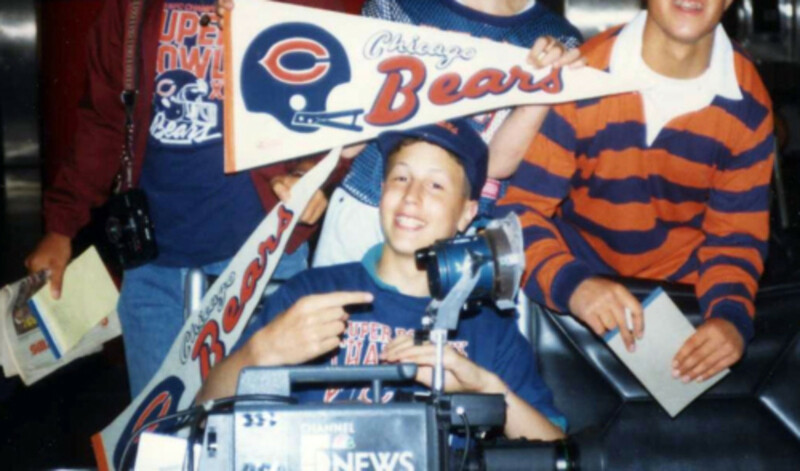 Fate had it that I was in Chicago when the The Bears travelled to London to face the Cowboys at Wembley – the first ever NFL game to be played in England. The pain of missing the game was immense. The only way of salving it was to go to O&apos;Hare International Airport and welcome them back when they landed. At four in the morning. The waiting took forever. We were the only ones at the arrivals terminal so we killed the boredom by faking delirious crowd scenes for the local news crew who were covering the emotional return. The Bears were exhausted as they deplaned. I darted around these groggy, lumbering giants, desperate to find my favorites and force them to pose for photographs. Matt Suhey the great blocking back was first off the plane. I adored that guy and swooped down to take this shot. 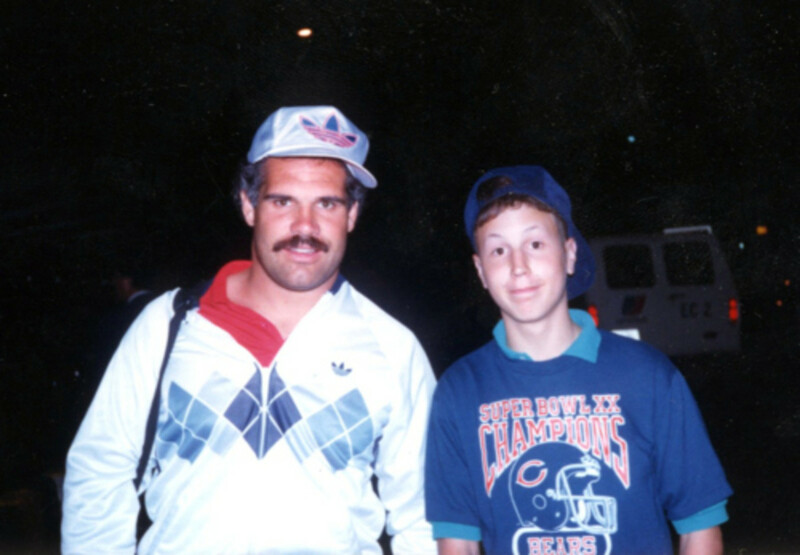 Then Walter Payton ambled towards the baggage carousel and the encounter that has pained me for 25 years went down. Thank you Grantland Network for allowing me a measure of release.